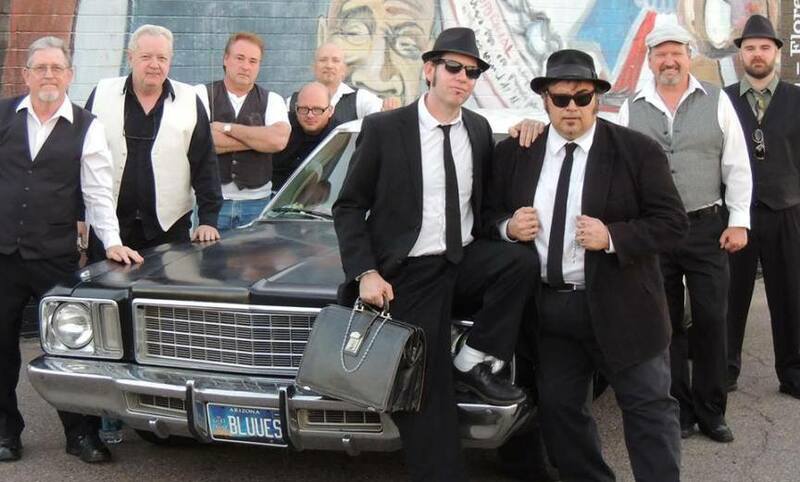 Buckle your seat belts and get ready for an evening with the high energy Rhythm & Blues show band, the Arizona Blues Company. 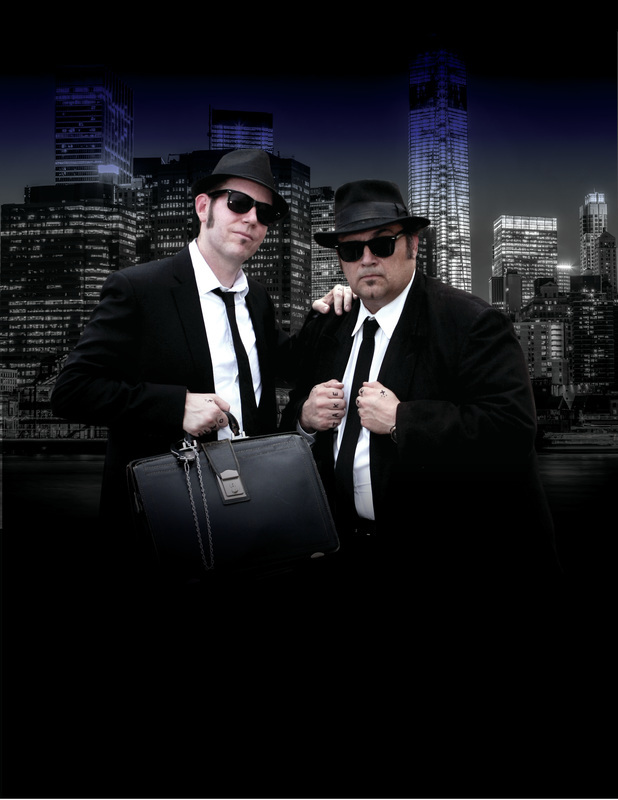 This dynamic show band features the two energetic men in black, backed by the big sound of an 8 piece band with a full horn section. 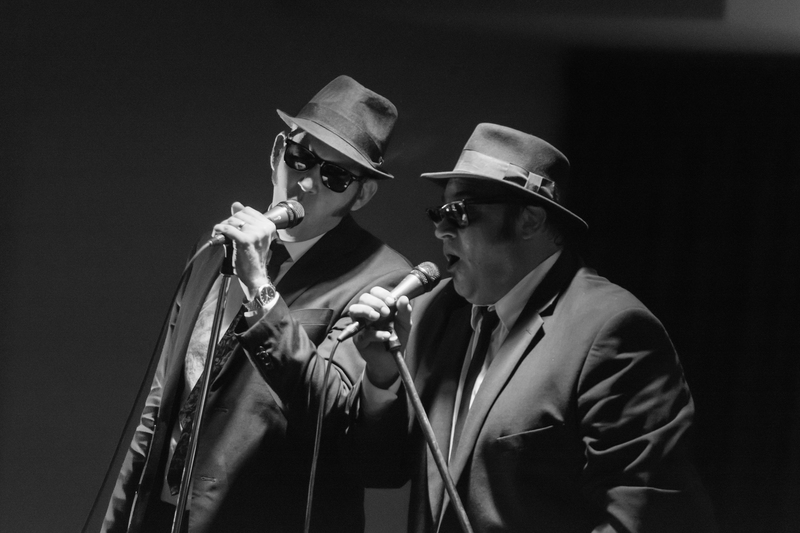 You will quickly find yourself smiling and singing along to memorable tunes like “Soul Man,” “Gimme Some Lovin,” “Rawhide,” and “Sweet Home Chicago.” This show will crash into town on _______. 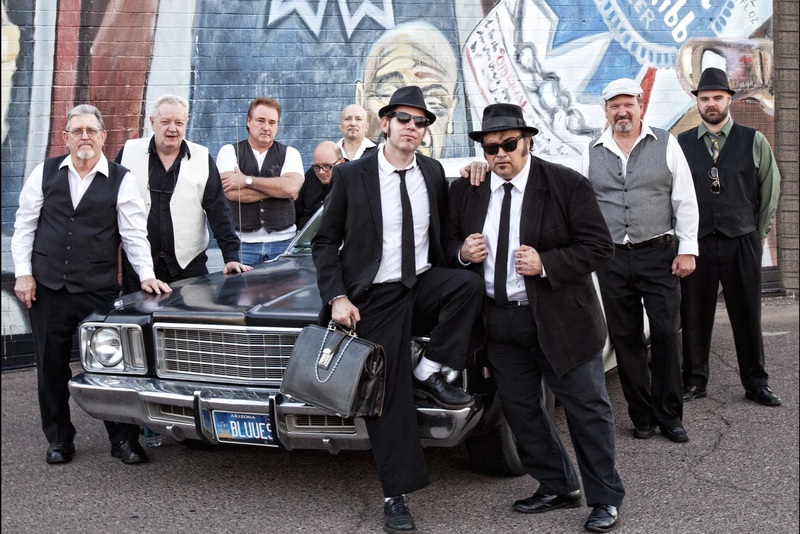 Performing some of the best loved Rhythm & Blues hits of all time, the Az Blues Company mix song, dance, and comedy into a fun performance that will have you smiling, dancing, and singing along to hits like "Sweet Home Chicago," "Jail House Rock," "Ring of Fire," and "Soul Man." 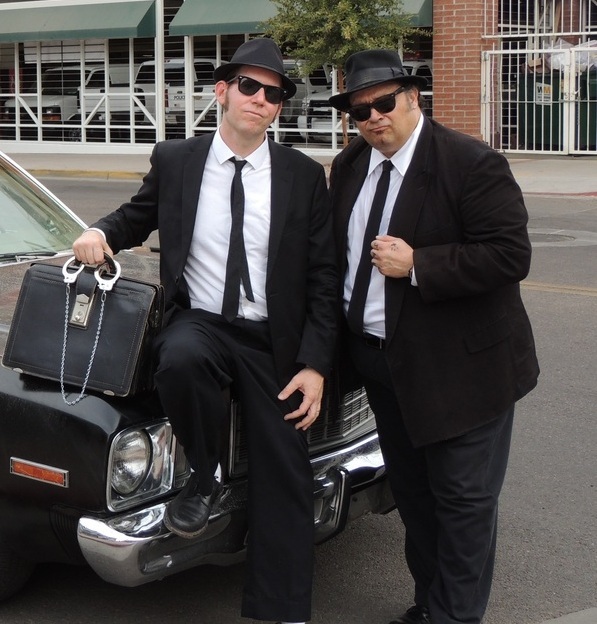 The Arizona Blues Company is fronted by two veteran musicians and showmen. 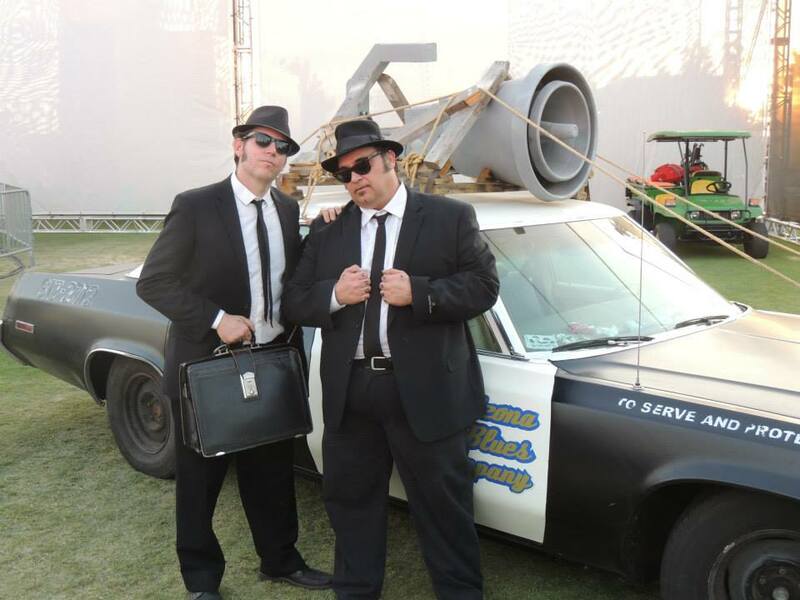 Vince has more than ten years performing as "Jake Blues" in the "Legends In Concert" Blues Brothers show in both Las Vegas and Atlantic City. 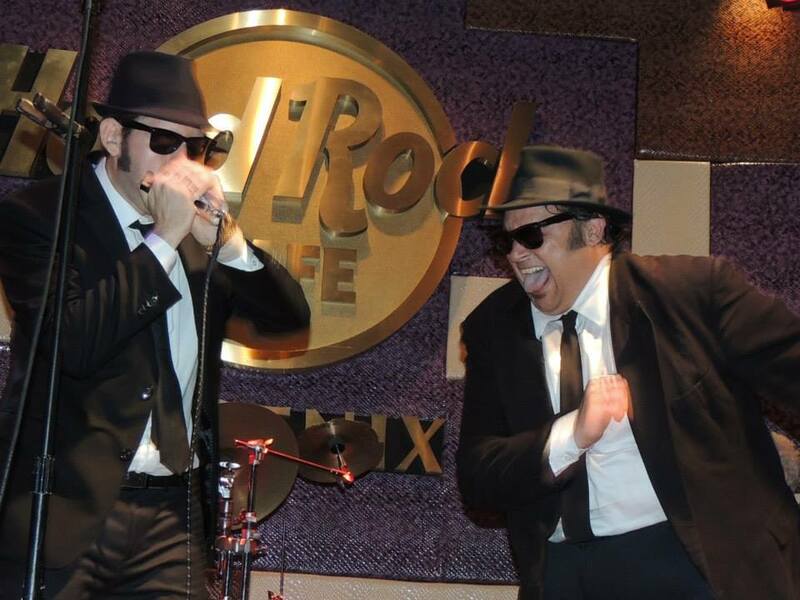 Vince is not only a great singer, dancer, and comedian; he also plays piano, guitar, bass, and trombone. 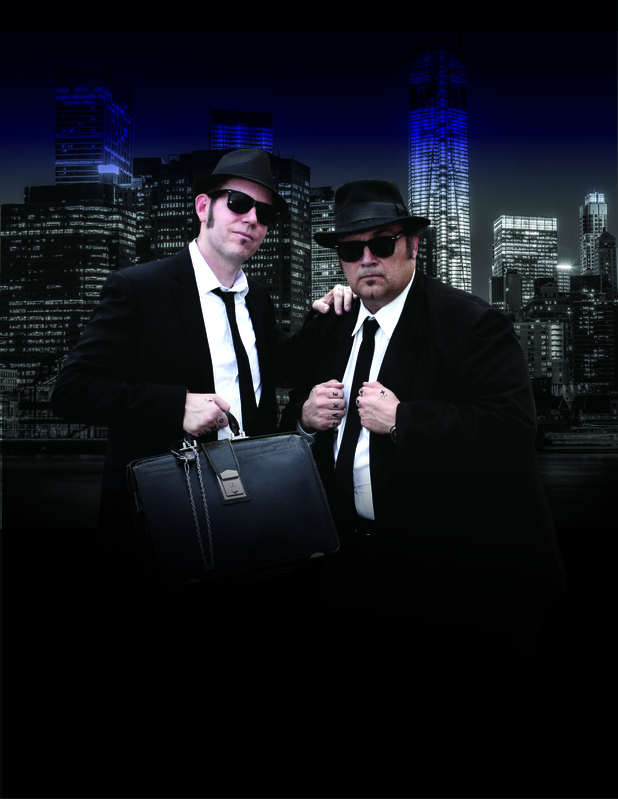 Ambrose Blues has roots in both Chicago and Rock Island Illinois. He grew up loving music, especially Blues. At 16, Ambrose formed his first band and has played hundreds of shows throughout the Southwest. 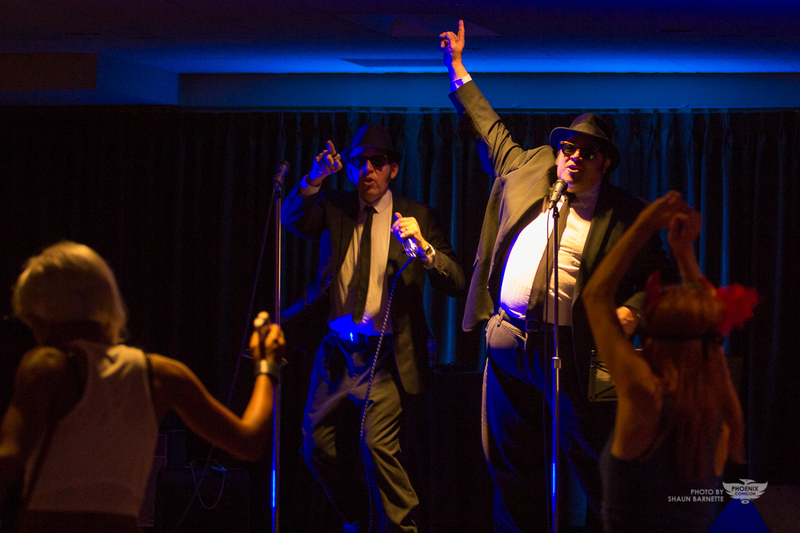 His favorite part of performing is the chance to introduce young people to treasures of American Rhythm & Blues. 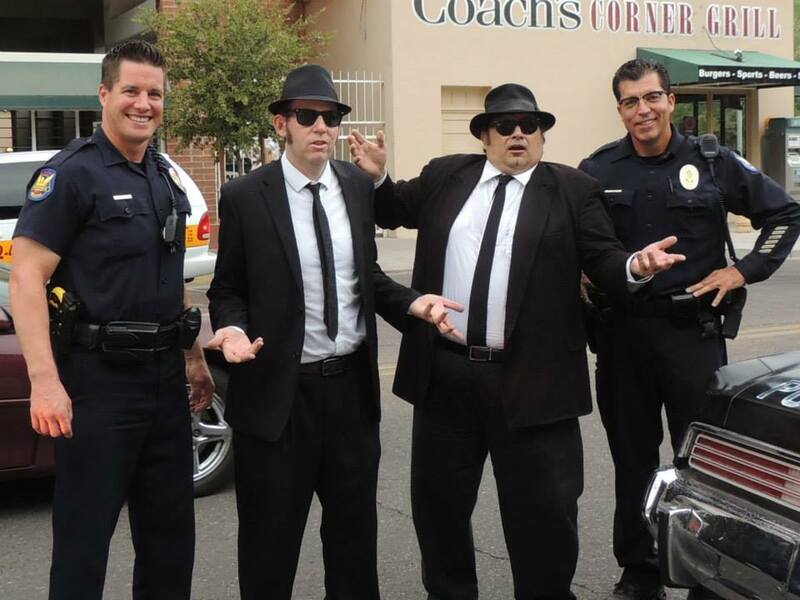 The Arizona Blues Company's musical director, Tom Haberman has been a professional drummer and bandleader for over 30 years. He has worked with many stars including Neil Sedaka, Maureen McGovern, Lucie Arnaz, Petula Clark, Diana Ross and others. Tom was musical director on the number one cruise ship in the world (Berlitz Guide), the Royal Viking Sun, where he completed 6 world cruises and backed over 150 different shows each year. He has also served as a musical director for Norwegian Cruise Line, Crystal Cruises, Cunard Line, Ltd, Princess Cruises, and others. 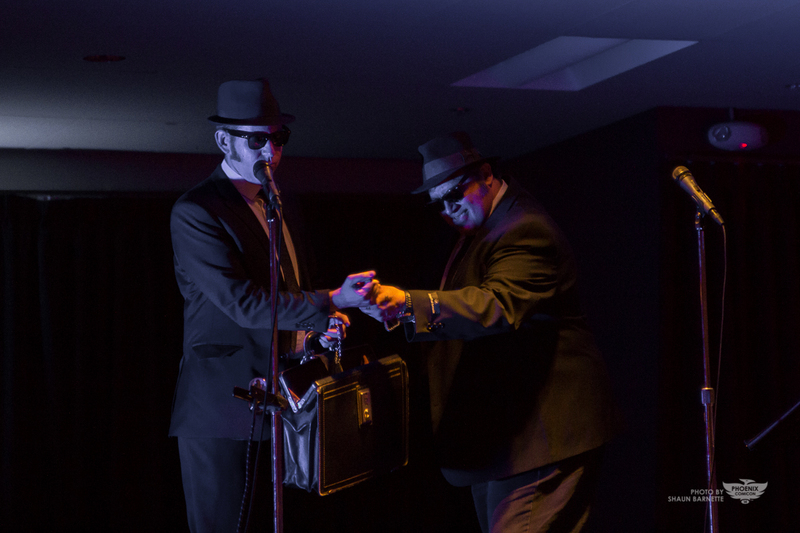 The Arizona Blues Company put on a terrific show last night at Sun City Grand. Non-stop high energy performance that had everybody rocking. In behalf of the Sun City Grand Music Club, I want to thank them all for bringing so much fun to our community. We look forward to seeing them again! For verbal descriptions of show, please contact Ambrose directly.